Nowhere in the Himalayas is the natural heritage more rich and varied than in Bhutan. Because of the deep traditional reverence which the Bhutanese have for nature, the kingdom is one of the leading countries in environmental conservation. 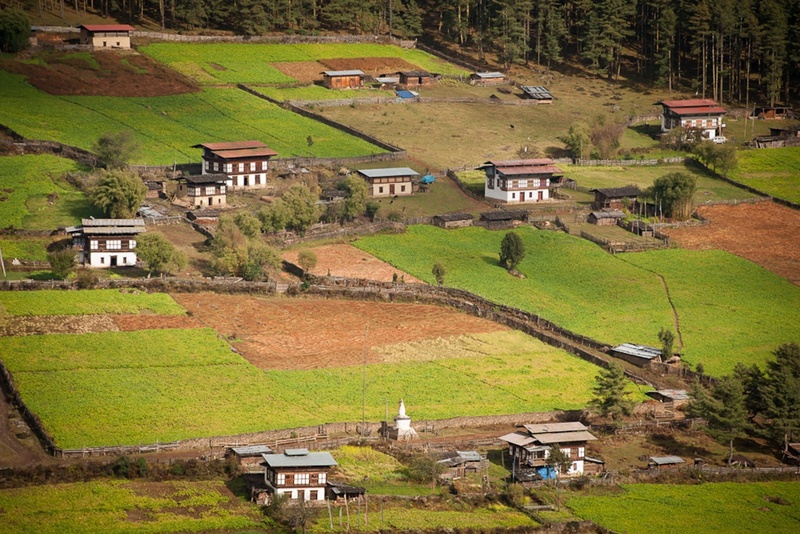 Over 70% of Bhutan’s land area is still under forest cover. Many parts of the country have been declared wildlife reserves, and are the natural habitats of rare species of both flora and fauna. Thus, Bhutan has been aptly described as a natural paradise. It has emerged as a champion of sustainable development, a country that believes in preserving for the future. The country’s Constitution mandates that 65 percent of the land should be under forest cover for all times to come. The forests are home to some of the most endangered flora and fauna. Located between China and India, Bhutan’s terrain ranges from the sub-tropical foothills in the south, through the temperate zones, to heights of over 7,300 meters (24,000 feet). Historical records say that Bhutan was known as Lhojong Menjong – ‘the Southern Valley of Medicinal Herbs.’ Besides these, wild flowers and plants add to the splendor of the Bhutanese seasons.